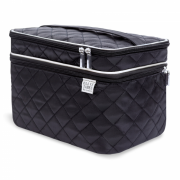 The beautiful Ellis James Designs Travel Jewelry & Makeup bag boasts plentiful capacity. 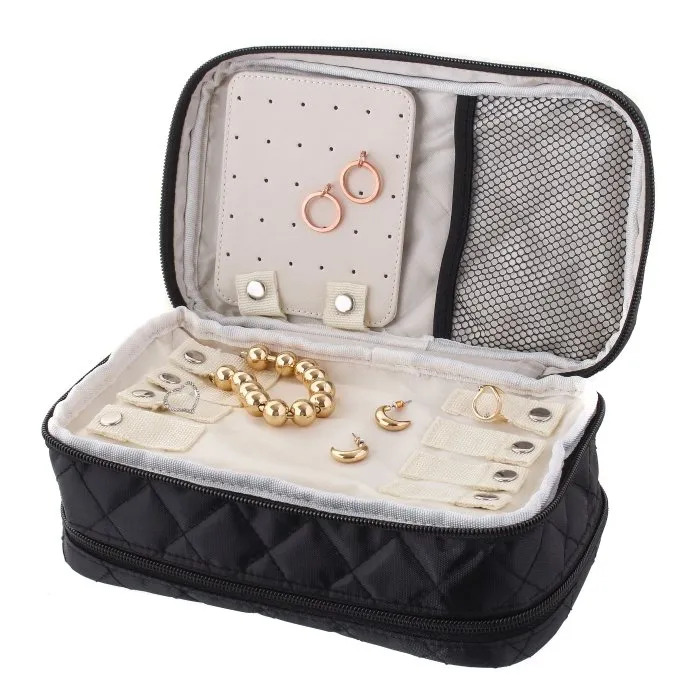 With elegantly designed internal pouches, zipped pockets, ring, necklace, bracelet, watch, earring, makeup brush holders and MUCH more, this 2-in-1 organizer is your new travel best friend! 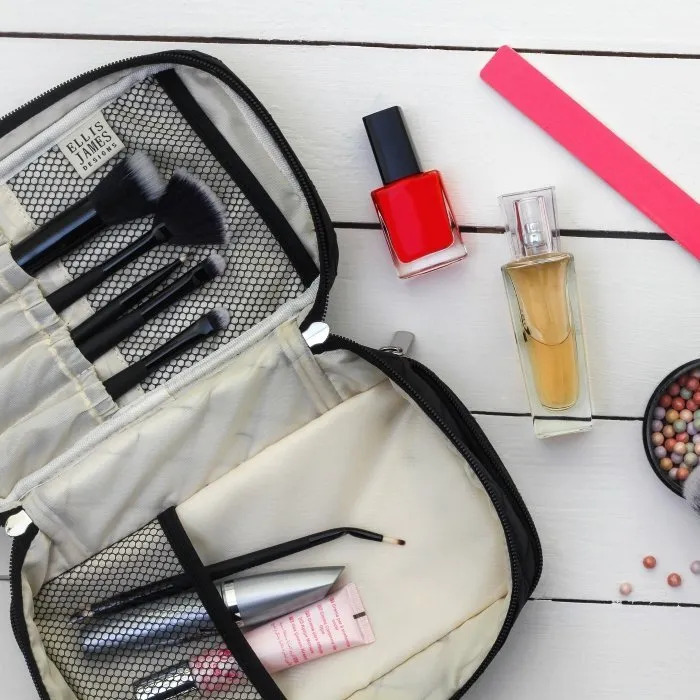 It’s the perfect bag to use for travel or daily use at home to keep your makeup and jewelry essentials organized and safe. 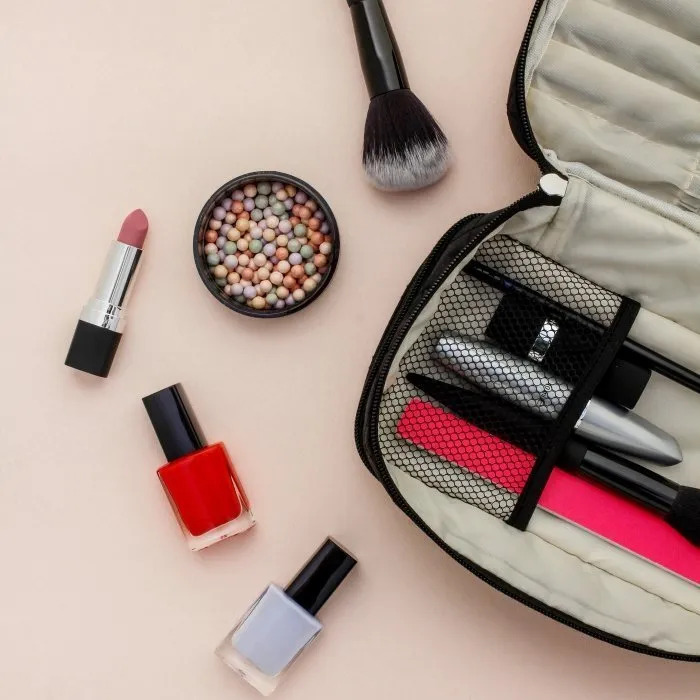 Beautiful makeup bag for the price! Holds everything I need and has perfect compartments. I love this bag for traveling. It is very well made and not to big. It can easily fit into a carry on which is how I travel most of the time. If I were traveling for a few weeks I would probably get a bigger size but this is perfect for a short trip. You can hang up and separate your necklaces so they don’t get all tangled up together. It has two separate zipped pockets to separate jewelry and makeup but there just isn’t much room on the makeup side so definitely get a bigger size if you need it for a longer travel trip. 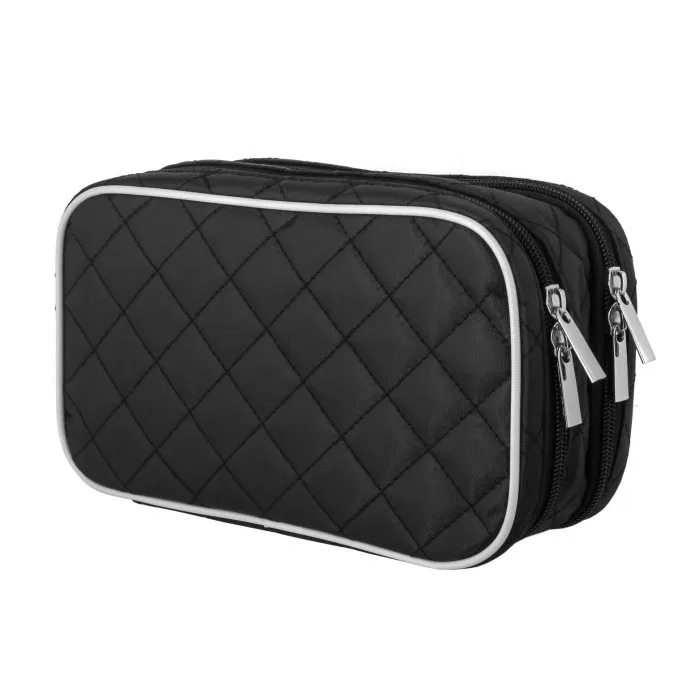 I love this travel bag! It is the perfect size to fit my makeup in while traveling. I love the organizing pockets to put my makeup brushes in. On the other side there is a zipper that contains places to put necklaces, rings, and earrings. I love the earring holder. I can now take multiple pairs of earrings with me when I travel without having to worry about losing one. 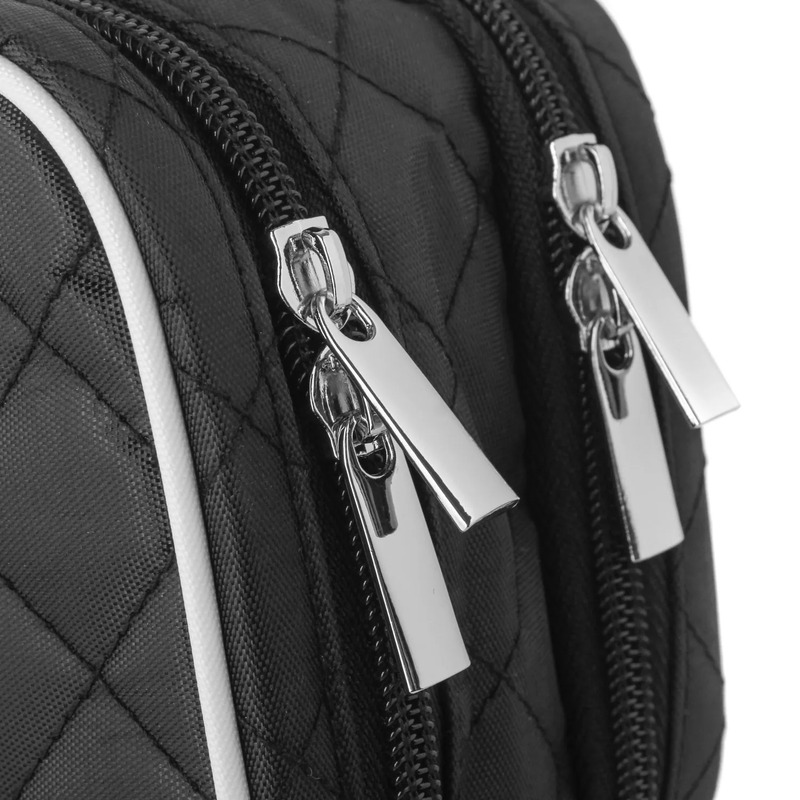 This travel bag is very high quality and I would definitely recommend it. Definitely worth the price. 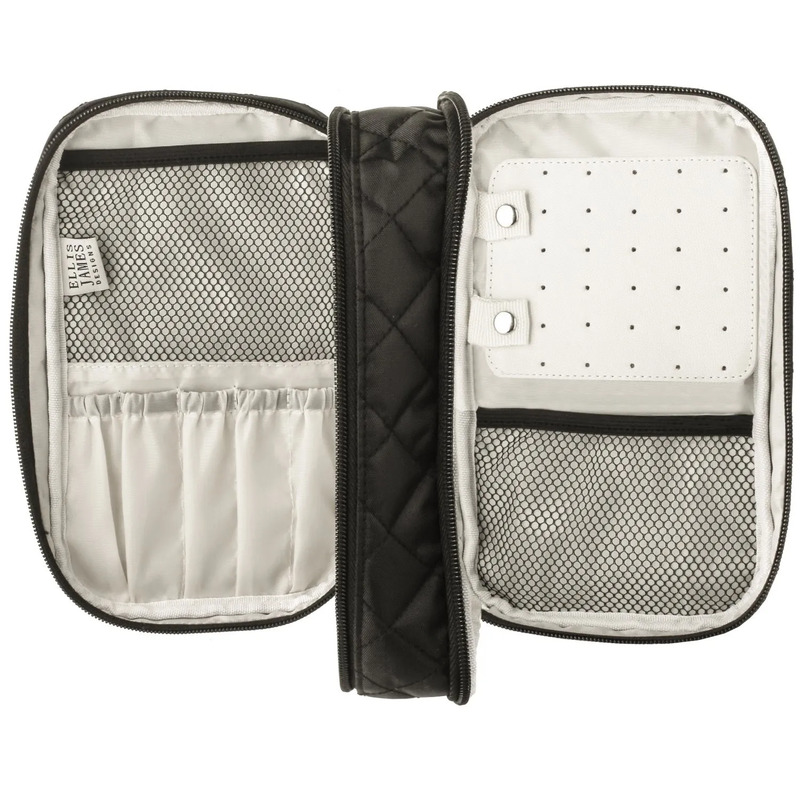 I also purchased the bigger version of this travel bag and I have never been more organized while traveling. The bag arrived in a nice package, I especially liked the inner package with the company name sticker on the paper wrap. The bag quality is good and I look forward to carrying it when I travel. This was a gift for my daughter and she loved it! 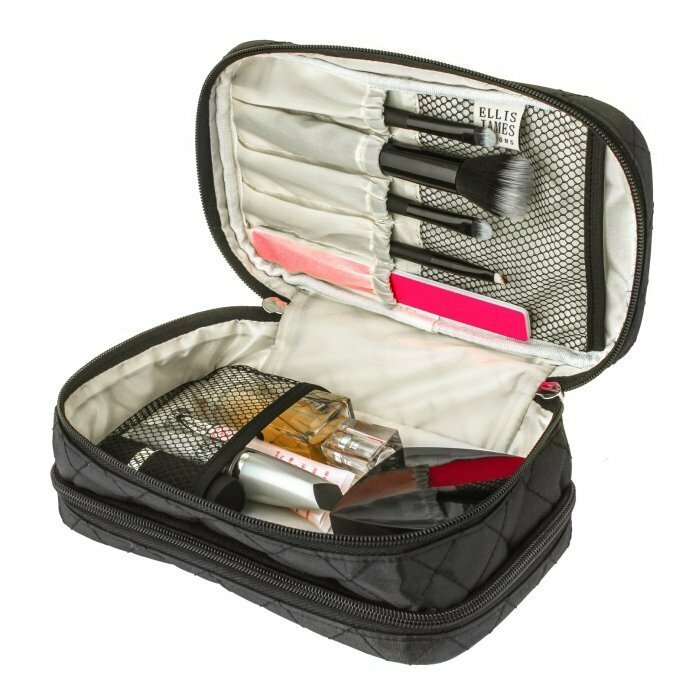 She especially loves all of the slots for her make-up brushes! The bag was not too big and not too little. I TOTALLY LOVE THIS ITEM!!!! TONS of room in this compact little bag!!! I managed to carry more than enough make up and jewelry for a six day trip!